Outfolded is an iOS-only title from 3 Sprockets that’s described as a minimalist, endless puzzle game where you have to unfold shapes to solve those puzzles. 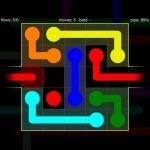 Developer 3 Sprockets makes it clear that this is an endless game, as it includes a “never-ending” series of levels, as well as puzzles that refresh each day. 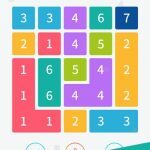 It is these puzzles which you have to solve in order to get more hints, and aside from that, the game also comes with an option where you can compete against friends, and a feature where you can share your solutions on social media. In terms of its concept, this is a casual game that doesn’t try anything fancy, but it offers far more than other titles in the endless genre have to offer. The game is quite a “chill” one, in the sense that you’ve got all the chances in the world to undo previous moves. But that could also make it quite a frustrating one, as one can only undo so many moves so many times before getting fed up at not being able to find a solution. 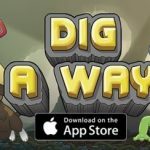 But we can help you out if you’re in such a situation, as we have got a list of Outfolded tips and tricks that can assist you in solving more puzzles. When you’re unfolding your first or second block in a level, you have to remember that if you end on a long edge, you’ll have more choices when unfolding the next block, as opposed to ending on a single square. The thing here is that you have to maximize the space in front of you, and that would require having a lot of options to work with. Now that you know what to do when unfolding the first couple blocks, here’s what you can do with the blocks that follow. Try all the starting points you see available, as a variety of starting points will result in different unfolding patterns, depending on the obstacles in the environment. Once again, you should make your moves with maximizing space in mind, and you should avoid any situation where the space around you will limit your options. Outfolded allows you to flip blocks on their side, but in order for you to do that, all of the plane has to touch the board; if that doesn’t happen, the side will disappear. Now that could be a good thing and a bad thing at the same time. That’s good news for you because you’ll be able to get rid of unnecessary length, and you’ll usually be making a wiser decision in terms of the next block’s starting point. Remember, it is not required that you use all sides of the block when trying to complete a level. What about the bad news? Well, a disappearing side could work against you as it may reduce the space you have available to work with. That means you should choose the right side to work with if you’re always lacking in distance to cover. That way, you can have the blocks unfold across a wider range of planes. Some of the levels in Outfolded have hints, so if you see a hint lying around, go chase after it. For a little perspective on hints, these are clues that give you the placement of the first shape, but nothing beyond that. In fact, you don’t even have to complete a level successfully; if you’re able to grab a hint before the game ends, then it’s yours. You’ll also be able to get free hints if you watch advertisement videos, or, as we said in the game overview, by taking part in the daily puzzles. 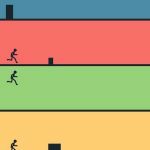 You’ll have to avoid obstacles in the levels, as well as leap over gaps. And yes, there will be a lot of gaps in the levels, with the number of gaps increasing progressively as shapes get more complex. In order to do this and avoid those gaps, you can utilize certain shapes, including the cross, the zigzag, and the L- and T-shapes. Keep in mind that it doesn’t have to be a specific part of the block touching the goal square when completing a level; going over is not an issue, as any part of the block touching the goal would end the level.